The Washington Heights and Inwood Music Community Charter School (“WHIN Music Charter School” or “WHIN”) will provide our diverse student population with rigorous academic instruction, intensive music education and a positive learning environment so that every student can thrive academically and personally . With a uniquely challenging educational program that incorporates intensive daily music instruction, WHIN fosters innovative teaching methods, imbues students with a love of learning, and facilitates the development of our community through music, academic, and social inclusion. El Sistema is a model for social action through music, founded in Venezuela in 1975 by Maestro José Antonio Abreu, who believes that “music has to be recognized as an…agent of social development in the highest sense, because it transmits the highest values – solidarity, harmony, mutual compassion. And it has the ability to unite an entire community and to express sublime feelings.” To learn more about El Sistema click here. 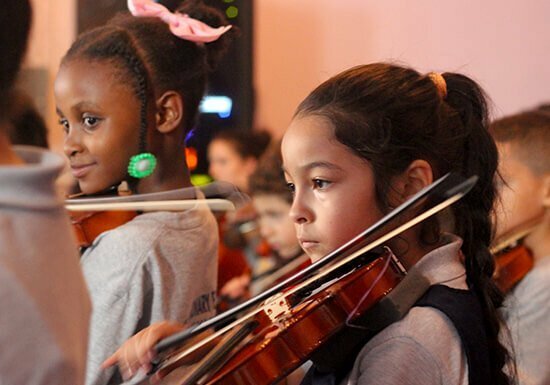 At WHIN Music Community Charter School, “music” is literally our middle name. WHIN offers two periods of ensemble music a day, five days a week, for all students, based in El Sistema’s principles of music as a vehicle for inclusion and social change. Along with a common core aligned curriculum, WHIN features a music-centered interdisciplinary system enriched by El Sistema music instruction. These proven strategies cultivate students’ executive function and self-regulation skills and are anchored to three types of brain function: working memory, mental flexibility, and self-control. Our ensembles focus on vocal and instrumental music, with both strands building strong foundations of music literacy across all stages of musical development so students become authentic life-long and life-wide music makers. 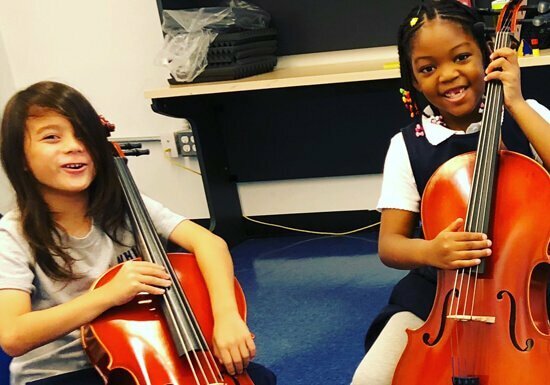 Alongside our ensembles, WHIN’s music-infused curriculum allows for authentic musical connections across all subject areas and disciplines. 1. Cuesta, José (2008), Music to My Ears. For more information about El Sistema, please see the founder Abreu’s TED talk about El Sistema http://www.ted.com/talks/jose_abreu_on_kids_transformed_by_music. Now accepting application for K-3rd grade.